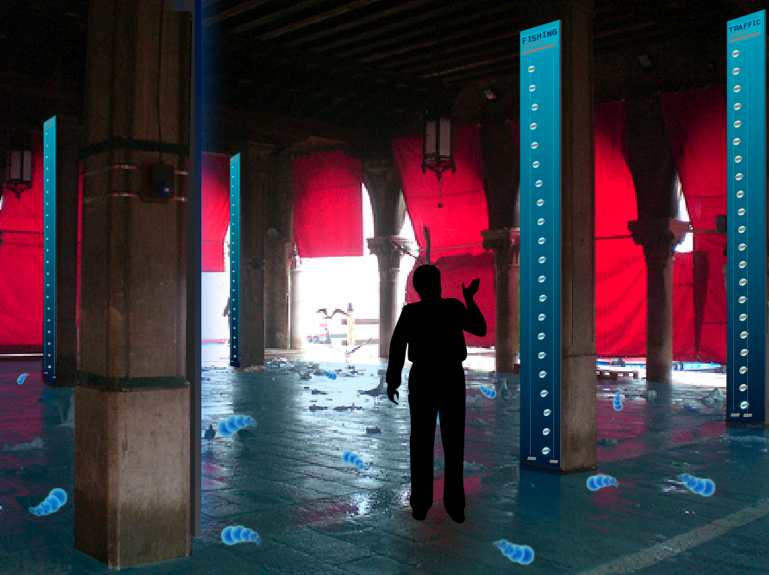 The installation is located in the little Rialto fish market in Venice. The aquatic environment is continually projected on the fish market floor (when not in use, during afternoon and evening). As you enter the fish market the fishes on the floor react to your presence. A dark area appears around your feet depending on the noise you are producing. Fishes never liked you, because you make noise and disturb them, so they avoid you and run away.. If you are polite and respect them they will become friendly. Of course you can choose to kill them but your game will end soon (even if the system will generate new fishes after a few seconds). The columns of the fish marked are used to display past and future information about the lagoon. 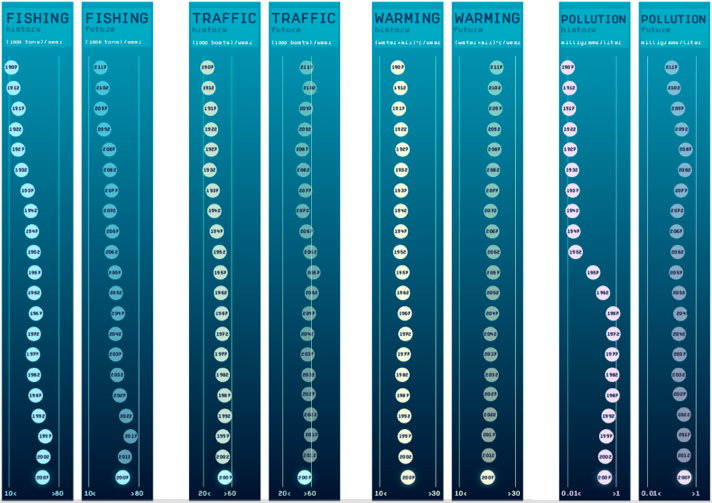 There are four pairs of columns and each pair is dedicated to a topic: fishing, pollution, traffic and global warming. On the left column you can see the historical data while on the right column you see a prediction for the future. You can affect the prediction and see it changing according to your good or bad actions in the installation. Each future columns and the floor simulation are connected to each other and update in real time the displayed data. > Explore further the columns graphics. > Watch the prototype video on youtube.